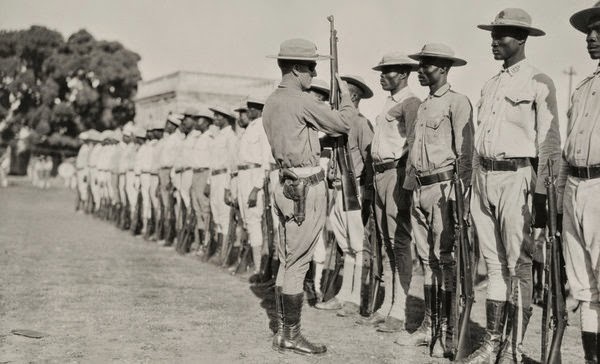 A U.S. Marine inspecting a troop of Haitian soldiers, 1920. Rarely do researchers dig through the National Archives to uncover veteran ancestors and learn of their experiences in occupied Latin American countries during and shortly after WWI. Yet, our Army, Navy, and Marine Corps veterans occupied the Dominican Republic (1916-1924), Nicaragua (1926-1933), and Haiti (1915-1934). These stories have been overshadowed by the larger wars and conflicts. To provide the complex history and politics that play the strategic role of occupying these counties would be impossible here. However we recommend the researcher to have at least a cursory understanding of the politics which help lead to a successful research project. Topics from the beginning of President Woodrow Wilson’s term to the 1934 term of President Franklin D. Roosevelt should be reviewed. 1) Fold3. A search on Fold3.com may solidify your ancestors’ Latin American service. A quick search revealed the service of U. S. Marine Corps, First Lt Earnest Calvin Williams. 2) NARA, Record Group 80. 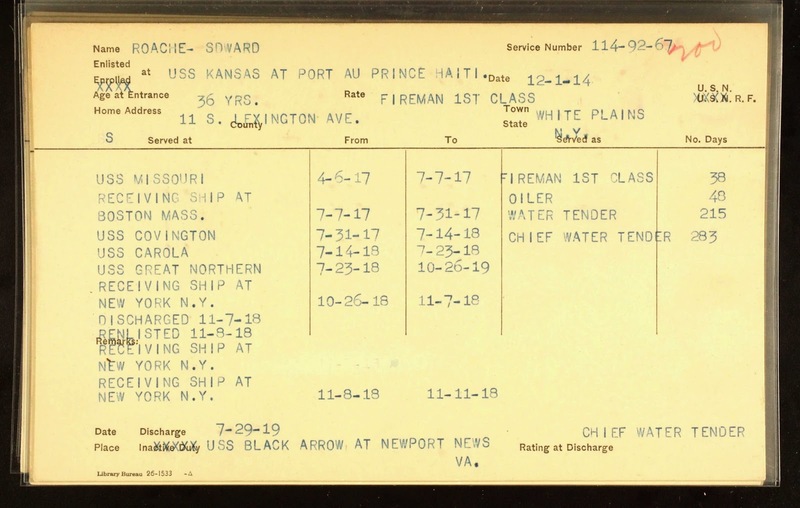 Secret and Confidential Correspondence of the Office of the Chief of Naval Operations and the Office of the Secretary of the Navy,1919-1927. For the publication of the 117 rolls of microfilm visit . 3) NARA, Textural Records, RG 127.8. For Records of the US Marines in Haiti and Nicaragua and Records of Expeditionary Forces and Detachments, review the RG 127. 4) NARA, Maps and Cartographic Records. RG 127. Maps are a key tool when researching our military ancestors. Record Group 127.10 has an extensive collection of maps and plans of Haiti, Dominican Republic and Nicaragua and of the U. S. installations in these counties. 5) NARA, Department of State, Central Decimal Files, RG 59, General Records of the Dept. of State to include organizational unites, special subjects and events. Individuals are also periodically named. Central Decimal Files are located at Archives II. 6) Navy Dept. Listing. For a listing of Dominican Republic, Haiti, and Nicaragua military Marine vessels visit the List of Expeditions, 1901-1929.